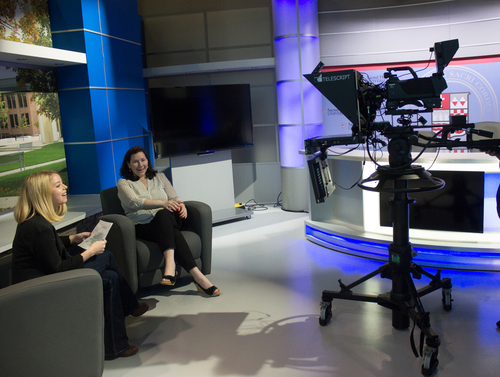 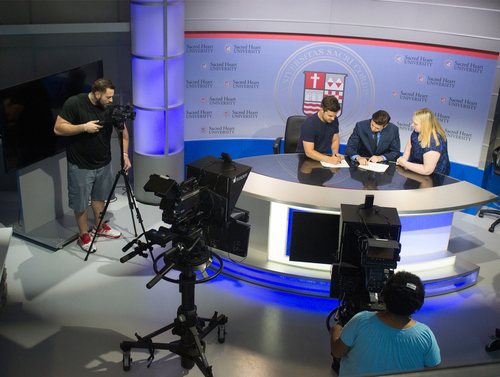 The facility provides a hands-on learning environment for media students on the undergraduate and graduate level. 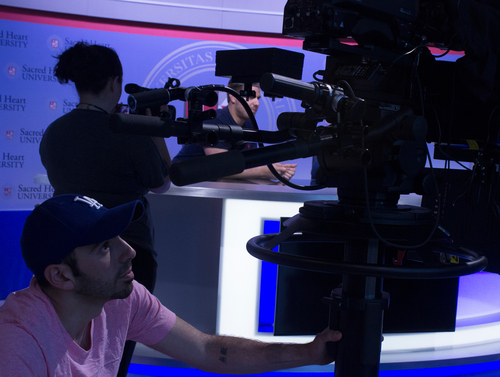 This includes 2 studios, editing bays, screening rooms, media theater, mac media lab, radio station, multi-media forum and more. 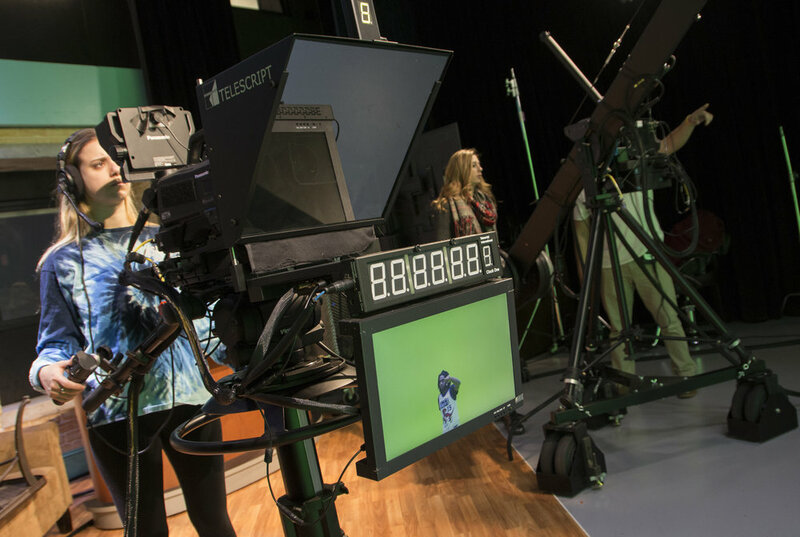 Custom designed Newsroom/Sports Show studio with three manned studio cameras on pedestals, a studio camera on a jib, and a robotic camera.